Brown calico-grain cloth. Gold, black, red, and gray stamping on front. Gold and black stamping on spine. No decoration on back. Endpapers printed with green floral and bird patterns and a narrative scene of a girl sitting with an open book. Edges colored green. 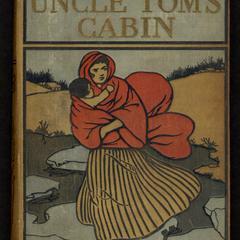 Book topics: Stowe, Harriet Beecher, 1811-1896 --Adaptations; Stowe, Harriet Beecher, 1811-1896. 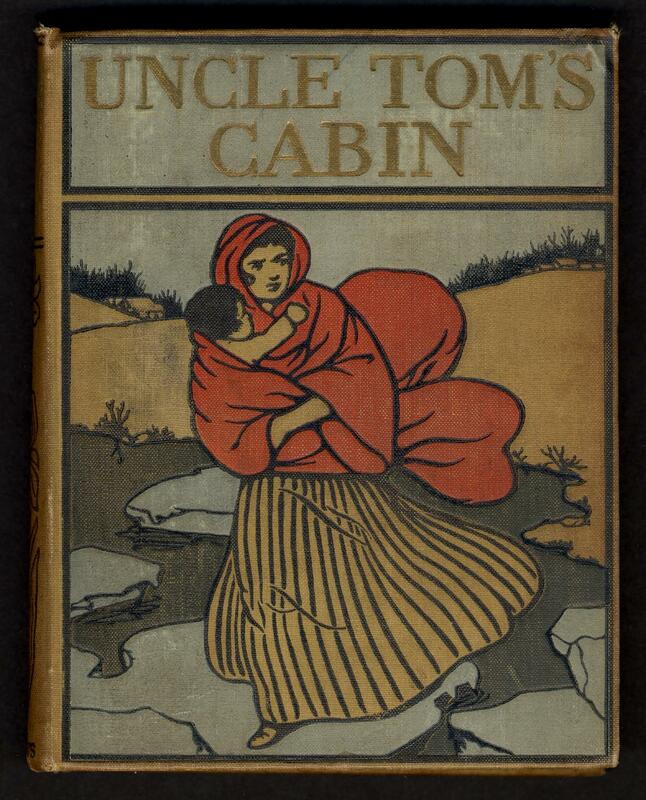 Uncle Tom&apos;s cabin--Adaptations; Slavery--United States--Fiction; Slaves--Fiction; Master and servant--Fiction; Plantation life--Fiction; African Americans--Fiction; Fugitive slaves--Fiction; Slavery--Fiction.